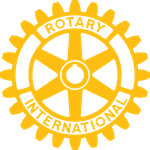 Sponsored by the Rotary Club of Colville, Blazing 100 Blazing Saddles Bike Ride will be “held at the Colville City Park on August 3, 2019. BLAZING SADDLES uniquely allows you to ride a new world class route each year. On a THREE YEAR ROTATION, each year there is a different Century Ride, a Metric Century Ride, and a 40 Miler that allows you to experience all of the unique beauty and cycling splendor of Northeastern Washington. You can challenge yourself on hills and summit passes, or chose easier routes on the valley floor or along beautiful Lake Roosevelt. All rides are on lightly traveled country roads through the spectacular scenery. Riders are fully supported with rest and food stops, and mechanical and medical support. Registrations will be taken right up to the start time for the Bike Ride Saturday Morning! Every year BLAZING SADDLES offers something new for you to explore!